Madison, WI – Andrew L. Mears, PE, has received his Professional Engineer (PE) license. 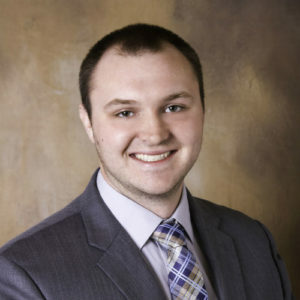 Mears holds a Bachelor of Science degree in Civil Engineering from the University of Wisconsin–Platteville and has worked for Vierbicher since 2013. Mears has been involved with notable projects such as The Watermark Lofts, Middleton Center and The Lyric. He has also provided surveying support for a multitude of projects including Sand Valley Golf Resort. To achieve this milestone, Mears had to pass the Fundamentals of Engineering examination (FE), obtain a Bachelor of Science degree in engineering from an EAC/ABET accredited school or college, complete 4 years of experience in civil engineering and finally, pass the Principles and Practice of Engineering examination (PE). He now bolsters an industry-leading group of professional engineers within the company. Vierbicher, with offices in Madison, Reedsburg, Milwaukee Metro and Prairie Du Chien, delivers creative, yet proven and responsible solutions by applying the collaborative vision and expertise of our engineering, planning and community development teams.